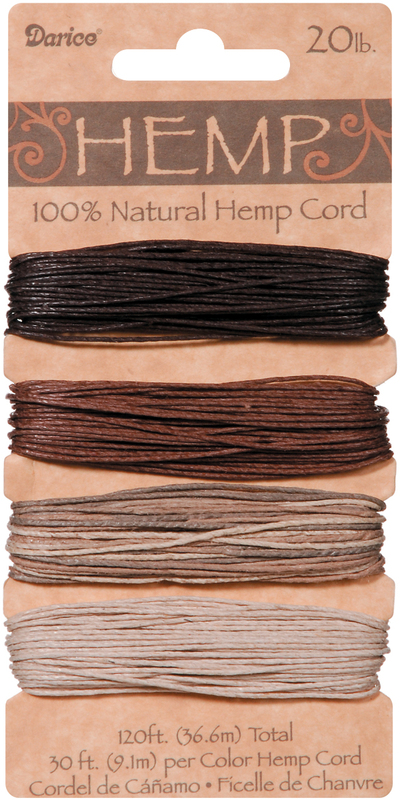 DARICE-100% Natural Hemp Cord: Earthy. Hemp is biodegradable and an Earth-friendly alternative to other synthetic cording for jewelry, crafts, scrapbooking, fashions and more. This package contains one card of 120 feet of 20lb hemp: 30ft each of four colors: dark brown, med brown, variegated and natural. Imported.